DFF primarily uses quantum mechanics data to derive force field parameters. The ab initio data include energies, first and second derivatives of energies and electrostatic properties. At least one optimized structure should be provided. Different conformations of a molecule should be included in order to sample the potential energy surfaces. 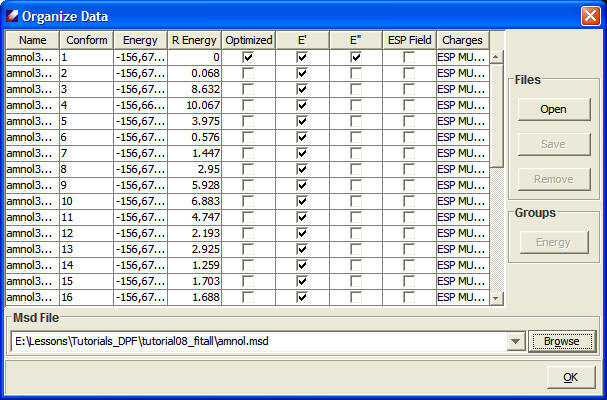 All QM data are organized in a special format denoted as QMD file in DFF. This provides a common interface to use other QM software. The following screenshot shows the spreadsheet of quantum data.